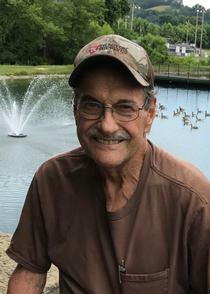 James Albert Parker, 72, of Ona passed away on April 4, 2019. He was born August 31, 1946. He is preceded in death by his father and mother, Robert and Maydona Parker; three brothers, Roy, Paul and Roger Parker and one sister, Julie. James is survived by his loving wife, Reba D. Parker; two sons, Scott (Rebecca) Parker and James Parker Jr.; five stepchildren, Scott (Virginia) Conrad, Michael (Bridget) Conrad, Tiffany (Charley) Glover, Bo (Nicole) Conrad and Becky; twelve grandkids, Grace, Robert, Joseph, Koby, Dillon, Lakoda, Lillyan, Ethan, Devin, Christy, Ashley and Tyler; five brothers, George, Harold, Frank, Jerry and Leonard; five sisters, Anne, Mary, Shelba, Ellen and Linda and also 3 nephews and 1 niece and special friend, Davis Biggs. James is retired from Valley Bell and served in the United States Navy. He will be missed by many. Funeral services will be conducted 1 p.m. Tuesday, April 9, 2019 at Wallace Funeral Home, Milton with Pastor Windell Shull officiating. Burial will follow in Forest Memorial Park, Milton. Friends may visit from 6 to 8 p.m. Monday, April 8, 2019 at Wallace Funeral Home, Milton. Online condolences may be expressed to the family at www.timeformemory.com/wallace.